The SEGURA Stripe Jacket in Brown/Beige is a Vintage looking jacket, the 2 stripes run fully around the jacket from the chest, on to the arms and back. The stripes of the brown Jacket are a more distressed cream colour. The SEGURA Stripe is made from the very best Buffalo Hide making the Jacket strong and very hard wearing. This is made stronger by the size of the leather panels that are used to make the jacket& the triple stitched seems. 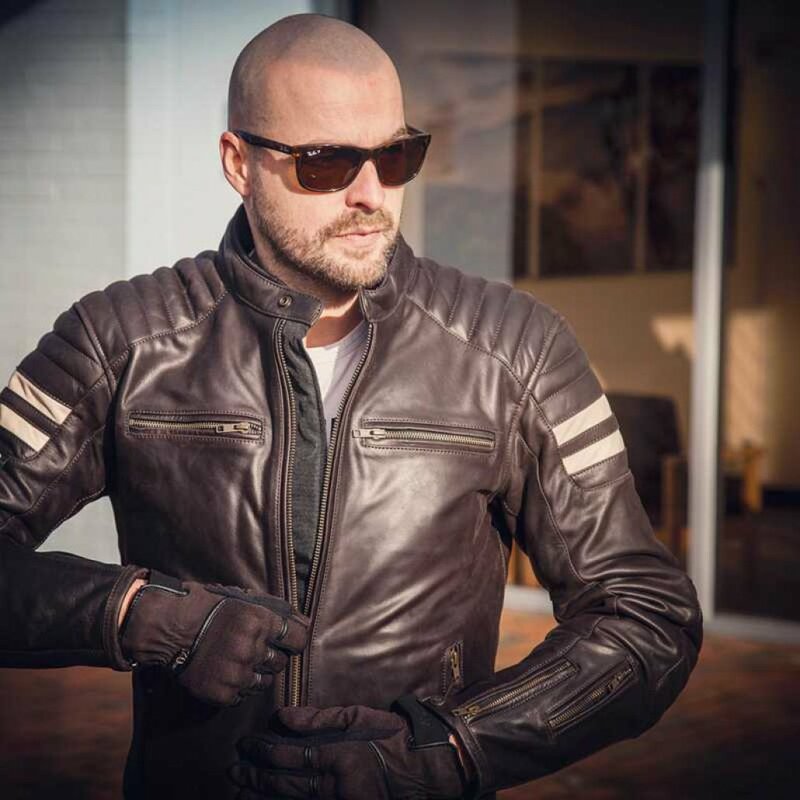 The jacket is CE approved and has SEGURA Body armour in the shoulder’s and elbow’s and a pocket for back armour, The elbow protectors are also adjustable to ensure the armour is comfortable for all. The Stripe features 4 outer pockets, 1 arm pocket perfect for change or keys and 2 inner pockets, with adjustable cuffs and hips. The SEGURA Stripe come in 3 separate colours Brown, Camel & Black with sizes from Small – 3XL (4XL special order). The Stripe jacket is covered under SEGURA’s 3 year warranty.